** spoiler alert ** Happy to get back to this series although, I have to admit, I started the book with some trepidation because I had such a difficult time with the way CeCe's character was portrayed in the last book ~ 'The Shadow Sister.' She came off as controlling, angry and needy, traits I don't find appealing in the least. Even tho she and Star had a co-dependent relationship, CeCe was the one who appeared to make all the decisions on their behalf & it felt like she held Star back. So, long story short (as far as providing background for this book) I was happy Star was able to make a break & force CeCe to forge ahead on her own. I can't say I changed my mind too much about CeCe after starting "her" book. She grew up with every privilege yet had a huge chip on her shoulder and constantly feels sorry for herself. Instead of celebrating the many opportunities she's had, she wallows in negativity and transfers that negative outlook onto her life. ugh. By the end of the book tho, I came around a little & liked her (a touch) better as she showed some growth and redeemed herself with Star, Ace, etc. Although we are halfway thru this series now, and I don't know much about the remaining sisters, I would bet she'll always be my least favorite sister. Sorry CeCe. Maybe Chrissie, Francis and success with painting will be a positive influence & render you unrecognizable down the road! The book gets 3 stars because of CeCe's part but Kitty's story would get 4 ~ maybe 3 1/2 stars then?? She was certainly a family member from which to draw strength. 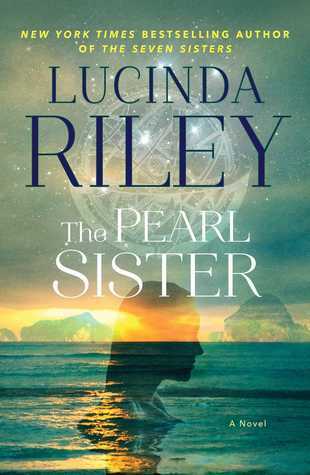 I loved reading about her, the pearl industry, Camira, Australia, etc. Lucinda Riley does her research well! Kitty experienced so much tragedy in her life yet managed to persevere thru it all and at the very end, found a much deserved ray of happiness. Camira, Alkina & Charlie are a story within Kitty's story and I found Camira very endearing as well. Smartest thing Kitty did, saving her, she's so much a part of her success & integral part of CeCe's story. But so sad (even tho you pretty much saw it coming) for Charlie & Alkina never getting a chance & the consequences/misfortune they both endure from their lifelong love (brief as it was). I did enjoy how all the threads of CeCe's family history were pulled together at the end. 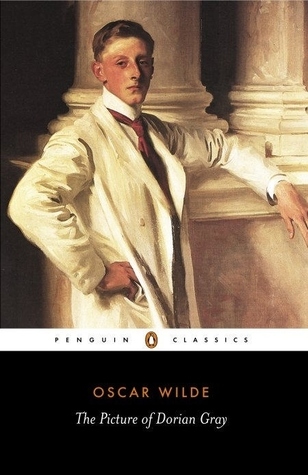 ** spoiler alert ** First time reading anything by Oscar Wilde and even tho I know absolutely nothing about his other works, 'The Picture of Dorian Gray' was a phenomenal way to get initiated! The ending was absolutely superb. The book is a riveting portrayal of the downfall of Dorian Grays' character & soul. It's masterfully penned. Literally "forcing" us (in that it's nearly impossible to tear yourself away) to bear witness to the ruination of a beautiful (all the more so because he's initially unconscious of that beauty), innocent, extremely impressionable, naive boy on the cusp of manhood. "Because to influence a person is to give him one's own soul. He does not think his natural thoughts, or burn with his natural passions. His virtues are not real to him. His sins, if there are such things as sins, are borrowed. He becomes an echo of someone else's music, an actor of a part that has not been written for him. The aim of life is self-development. To realize one's nature perfectly—that is what each of us is here for." Lord Henry is a catastrophic influence & if he'd made a crusade out of it, he couldn't have influenced Dorian more. It certainly helped that Dorian was an apt pupil and fully cooperative in his own destruction. Being older, more worldly & savvy about human nature, Lord Henry recognized what a pure, untainted soul Dorian was when he met him & although those qualities were exactly what enthralled him, (contrary to him saying "self development" is the aim of life,) he started polluting them from the outset. When poor Sibyl Vane dies, that was THE momentous turning point where Dorian's soul took a nose dive. Never in the book, does he ever take accountability for any of his actions. He never accepts that anything is his fault or that he could even remotely have responsibility in the dire outcomes of his relationships. In fact he has the gall to always turn it around on the victim & find a way to blame them! To believe in the power of the painting (knowing the wish Dorian made upon it when Basil created it) is to believe in justice. If only we all had such a reflection available to see our true souls, would we hid it away & try to ignore the compilation of our sins or would it coerce us to be better people?? It's such an interesting proposition to ponder. I'm still thinking about the ending. The painting was the beginning of the vanity, the selfishness, obsession with youth/beauty, etc., that was egged on by hedonistic Lord Henry. In the end, no matter how many beautiful hobbies & distractions Dorian fills his days/time with, it doesn't make up for him being completely devoid of moral fiber. There's no sustenance from which to draw to transform his inner character into a reflection of the outward handsome shell he'd ransomed his soul for.... What a sorry truth. He recognized it once (when reflecting on Hetty & the qualities he liked about her) but, as always, "reality" was fleeting for him. Really powerful book. I'm sure revolutionary in it's time (Victorian era) because of the references to homosexuality, opium usage, etc., ~ it must have been subject to censor, at least in some quarters?? Whatever the case, I'm so glad Oscar Wilde pushed the "envelope" ~ he did it with aplomb. ** spoiler alert ** This book! Oh my. There are zero "soft" parts to it. It's tough, (traumatic even), depressing & freaking bloody. Violent, bloody & traitorous ~ a mess on every front ~ with me left tormented at the end. ugh. Battles fought all over the kingdom. I guess some were won but is anything solved? Not that I'm happy about the winning of any of them. I mean Winterfell??? Seriously?? To assuage the giant inferiority complex of that double-crossing traitor, Theon? Worked out well for him, didn't it? I wanted to reach thru the pages and mangle him myself. I'm way too invested in these characters! I even found myself feeling none too benevolent toward Lady Catelyn. Why does she think her place is more with her dying father than her two youngest boys??? I do NOT get that???? Would any of this have happened had she not taken Tyrion captive? or after he was freed, just gone the heck home? or why not even take the bones of her beloved husband home herself instead of sending them home with her men?? I guess we wouldn't have this masterful story if everyone made the wisest decisions all the time. *sigh* I'm just not sure what to do with her....the mother in me is at odds with her decisions. 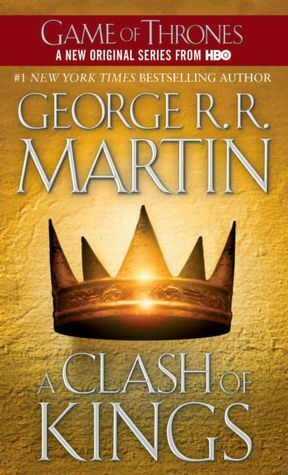 The revelations about Bran could quite possibly be the best part of this book. How did I overlook those dreams of his & not immediately "get" they were much more than nocturnal reveries? What an unexpected twist. This book has certainly brought forth a lot more "magical" elements than the first. The red comet in the sky, whatever or whoever that red woman is (who killed Lord Renly & Lord Penrose with the freaky black shadows?) and now Bran being a warg???? I loved when he messaged Jon thru Ghost. I have a feeling his powers are going to be really important.... Speaking of Jon, how horrible he had to kill one of 'The Black.' This journey with the wildlings is going to be interesting. So many factions running amuck, is there a way they can ever coexist? I was a bit disappointed that there wasn't a lot that happened with one of my other favorites, Daenery. Maybe the biggest part of her story is yet to come?? Will she even have a Kingdom to rule whenever she can find a way to get back to it?? It feels like the whole of Westeros is burnt! It's definitely fractured, rampaged and in ruins. She's going to need all the magic/power the dragons possess if she wants to unify it again. When the book ended, the prospects of that happening seemed pretty bleak indeed. Finally Arya. Brave Arya. Right as the book was ending, she made a bold move! I wonder where she's going? I'm guessing Riverrun since she grabbed the map? I still haven't given up on a reunion with Nymeria. Is that just wishful thinking?? I hope, hope, hope that Nymeria is lurking around, staying clear of harm but when the opportune moment presents itself, voila, there she is. We heard about her valiant brother Robb (in battle) but not much else was written from his angle either. Oh, who was Jaquen H'ghar and what does 'valar morghulis' mean? Another sort of magic?? It seems like Arya saving him may turn out to be very fortuitous indeed?? Where to start? I think with my favorites. 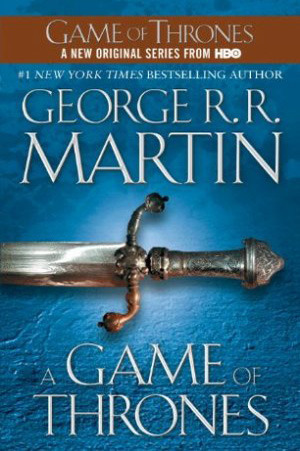 Jon Snow (the honor & loyalty he shows when he can't even bear his Father's name, oh my), Arya Stark (fierce girl), Daenery's Targaryen ( I am fascinated by her and her story), and Tyrion Lannister (his dwarfism served to sharpen his intellect and wit, making it almost unnoticeable once you know him). Wait, back up. Can I just say how much I loved the whole Stark family with the exception of Sansa. I hope she redeems herself in the next book because I can't fathom how she was born into a family with such esteem & integrity only to show none herself. All for that would-be weasel King Joffery too, ugh. What did she see?? I think I startled my daughter when he ordered the beheading of Lord Eddard ~ no, no, no and NO. Why do I despise everyone in the Lannister family except for Tyrion? Cannot answer that one! Daenery's had a complete evolution in character from introduction to book ending. She started out the scared, timid pawn of her entitled brother and ended up being a true QUEEN. I think she has the capacity to rule this World with her baby dragons and I can't wait to start reading the next book to see what happens. I had a feeling those dragon eggs were more than fossilized stone. I don't know why, but I just did! I did not imagine how she would go into the fire and bring them out tho ~ how can I get some imagination of that magnitude??!! Can we talk about the animals a bit? There was a LOT of slaughtering (humans too, but the animals bother me more for some reason) Horses ~ victims of war, sacrifice and death rituals ~ not to mention what happened to 'Lady.' I have a feeling those direwolf puppies are going to repay the Stark family a million fold for rescuing them. Also, for some reason, I don't think we've seen the end of Nymeria?? The pups are so loyal and protective (and intelligent) toward their respective owners, I just can't believe Arya & she won't be reunited down the road. I hope I'm right about that! One of the "things" I don't have a handle on (not that I have a handle on everything else) are 'The Others' and what is really going on north of 'The Wall.' The way the book started, with the Lordling being attacked then turning and attacking one of his Rangers, whew. I don't know what they are, aside from terrifying, but I don't suppose we can avoid future encounters? I'm just glad I'm reading about them first before seeing them on screen, I'm such a wimp! omg, book one down and four more to go. It feels like anything can happen. I better buckle up!